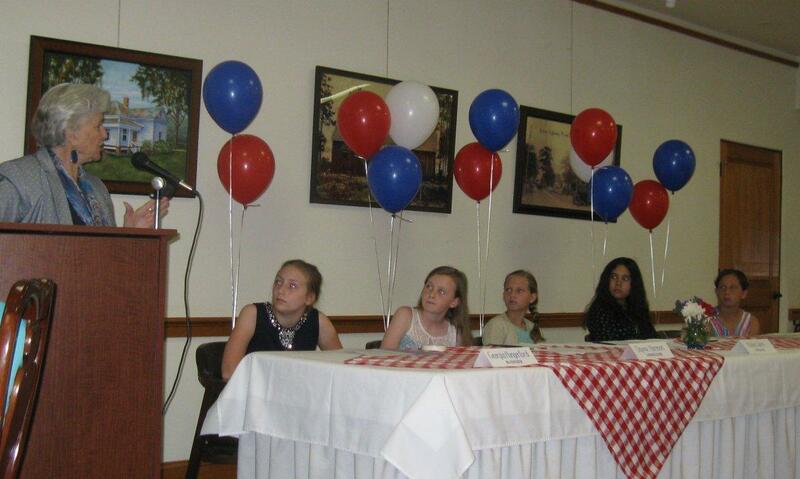 Winners of the 2017 Pine Castle Woman’s Club Fifth Grade Essay Contest listen to Linda Chapin’s presentation at the awards luncheon hosted by the Pine Castle Woman’s Club on April 12, 2017. 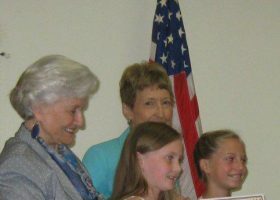 Linda Chapin with essay contest winners, pictured from left to right: Georgia Hungerford, Dayna Harmon, Hailey Warn, Emily Raybuck, and Miah Downs. 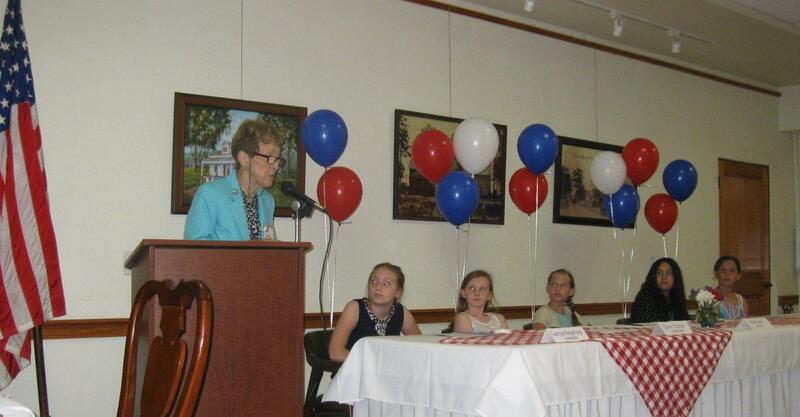 Listen to Linda Chapin’s presentation at the 2017 Pine Castle Women’s Club Fifth Grade Essay Contest Luncheon. LISTEN (18:56). 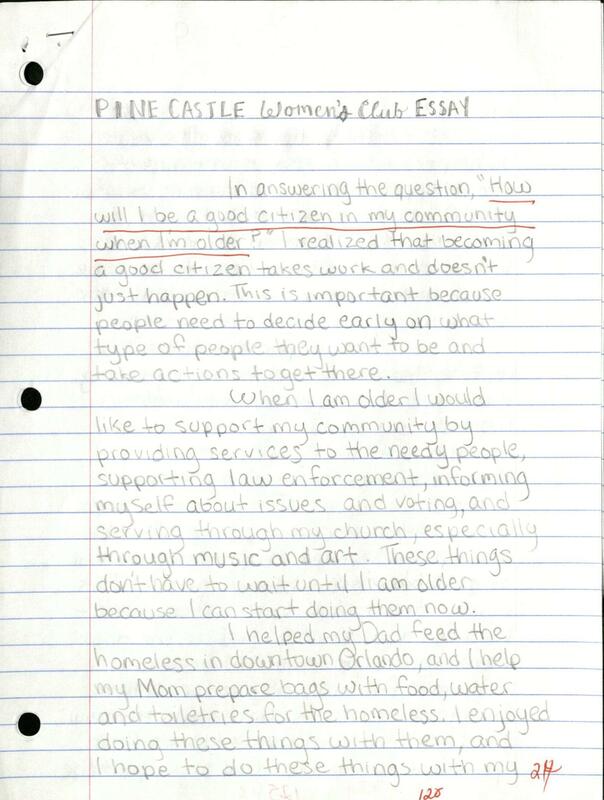 Students wrote original essays on the theme: When I grow up I will be a good citizen by…. 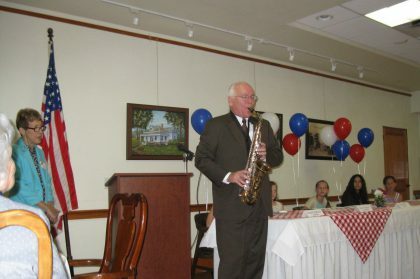 Randolph Russell, a world class musician, played America the Beautiful on his saxophone. LISTEN (8:36). Randolph G. Russell, author of American History in No Time, spoke on the importance of learning American history. Randolph G. Russell presented a copy of his book, American History in No Time, to each school. 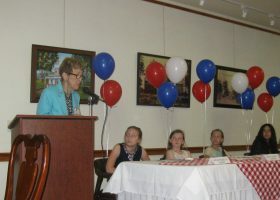 The winning students read their essays for an audience of special guests including their parents, teachers, school principals, and Pine Castle Woman’s Club members. 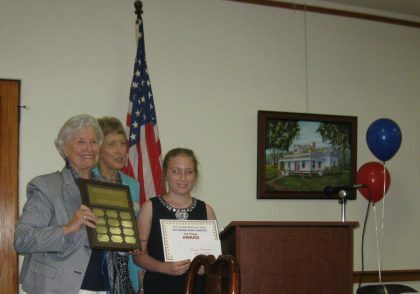 First prize winner, Georgia Hungerford, received a plaque for her school and $100.00. Second place winner, Emily Raybuck, received $75.00. Third place winners, Dayna Harmon and Hailey Warn, each received $50.00, and fourth place winner, Miah Downs, received $25.00. 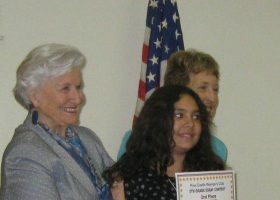 Linda Chapin presented the awards to the students along with Pine Castle Woman’s Club President Gail Padgett. 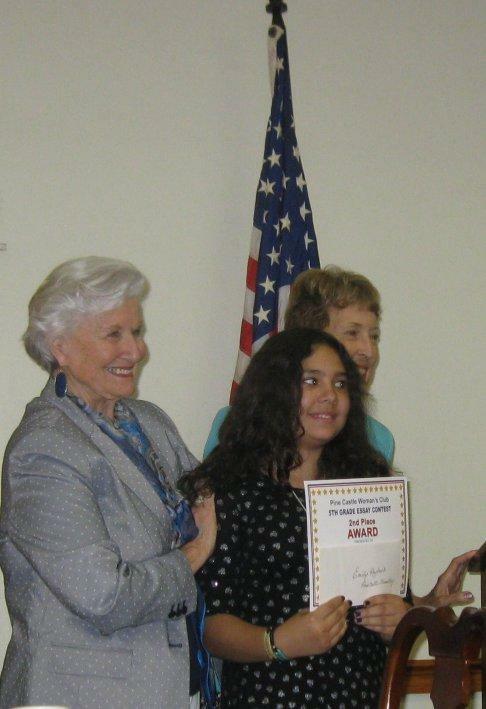 Miah Downs from Shenandoah Elementary School, fourth place winner. 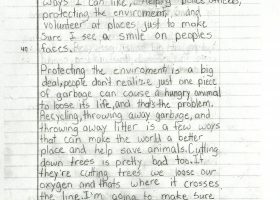 Read Miss Down’s award winning essay. 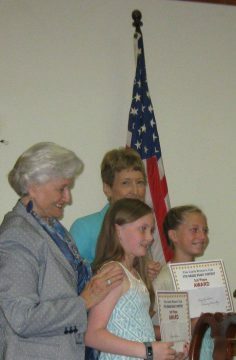 Dayna Harmon of Cornerstone Charter Academy and Hailey Warn of Pershing Elementary School, third place winners. 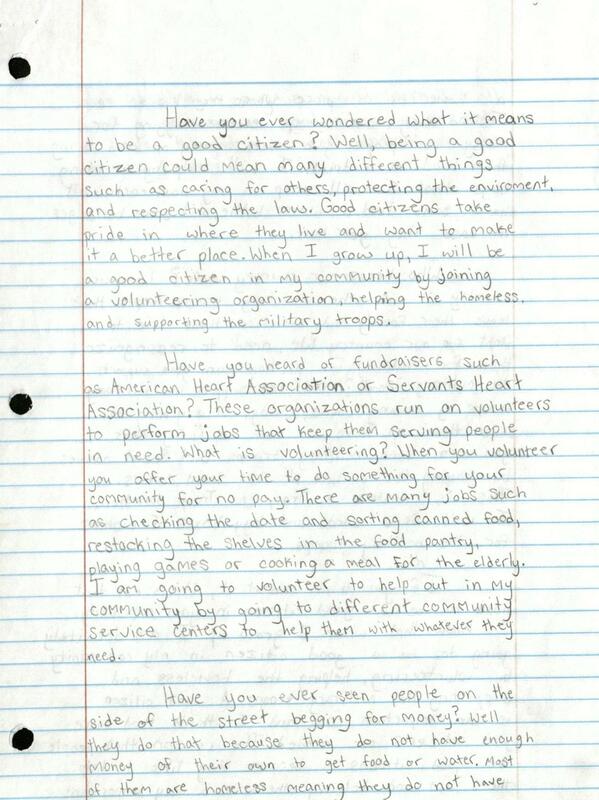 Read Miss Harmon’s award winning essay. Read Miss Warn’s award winning essay. Emily Raybuck of Pine Castle Elementary, second place winner. Read Miss Raybuck’s award winning essay. Georgia Hungerford of Blankner Elementary School, first place winner. Read Miss Hungerford’s award winning essay. 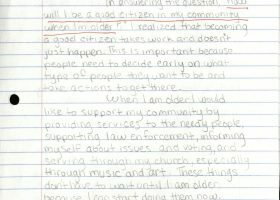 LISTEN (21:25) to the student oratory of the award winning essays: When I Grow Up, I Will Be a Good Citizen by …. Presenters are in alphabetical order by school name. 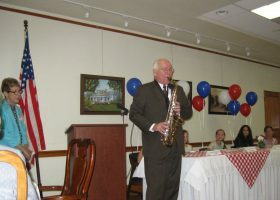 The students and their guests enjoyed a delicious luncheon prepared by the Pine Castle Woman’s Club. Pine Castle Woman's Club 5th Grade Essay Contest, April 12, 2017. 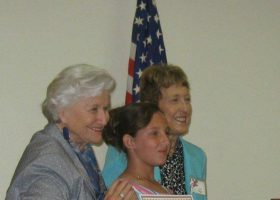 Excerpt from Blankner Elementary Pine Castle Woman's Club Fifth Grade Essay Contest Winner Georgia Hungerford's essay. 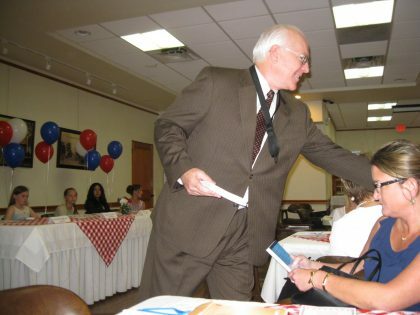 Read Miss Hungerford's award winning essay. 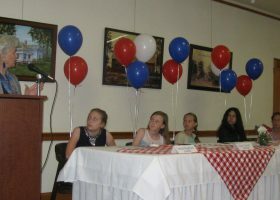 LISTEN (21:25) to the student oratory of their award winning essays: When I Grow Up, I Will Be a Good Citizen by .... Presenters are in alphabetical order by school name. 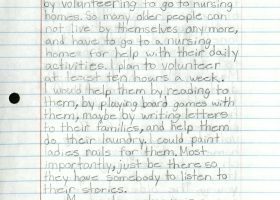 Excerpt from Cornerstone Charter Academy's Pine Castle Woman's Club Fifth Grade Essay Contest Winner Dayna Harmon's essay. Read Miss Harmon's award winning essay. 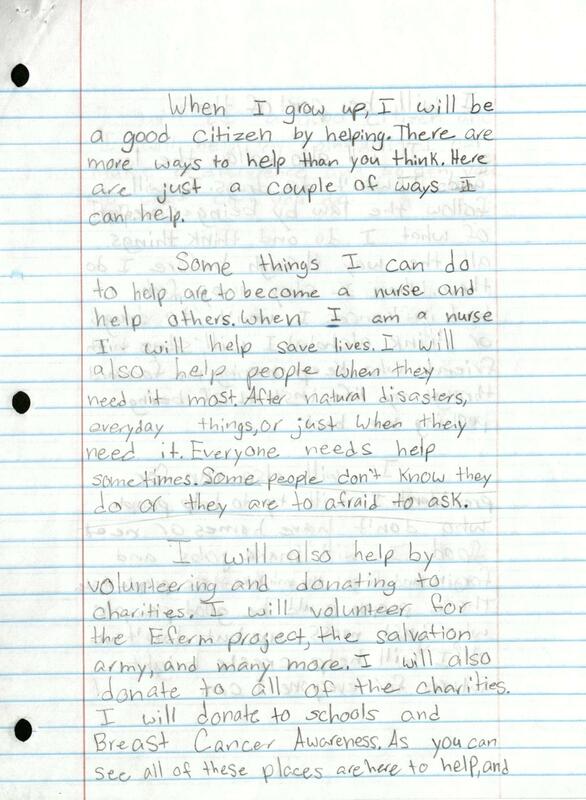 Excerpt from Pershing Elementary School's Pine Castle Woman's Club Fifth Grade Essay Contest Winner Hailey Warn's essay. Read Miss Warn's award winning essay. 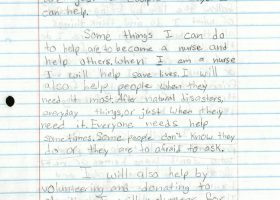 Excerpt from Pine Castle Elementary School's Pine Castle Woman's Club Fifth Grade Essay Contest Winner Emily Raybuck's essay. 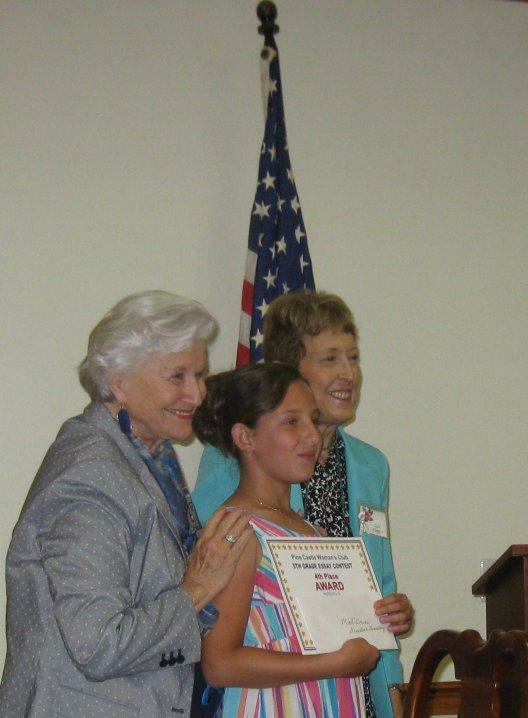 Read Miss Raybuck's award winning essay. 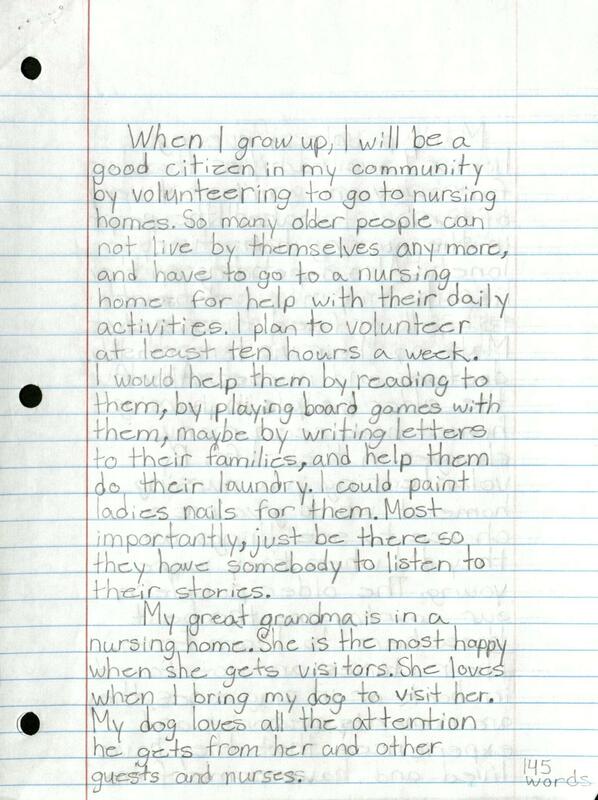 Excerpt from Shenandoah Elementary Pine Castle Woman's Club Fifth Grade Essay Contest Winner MIah Down's essay. 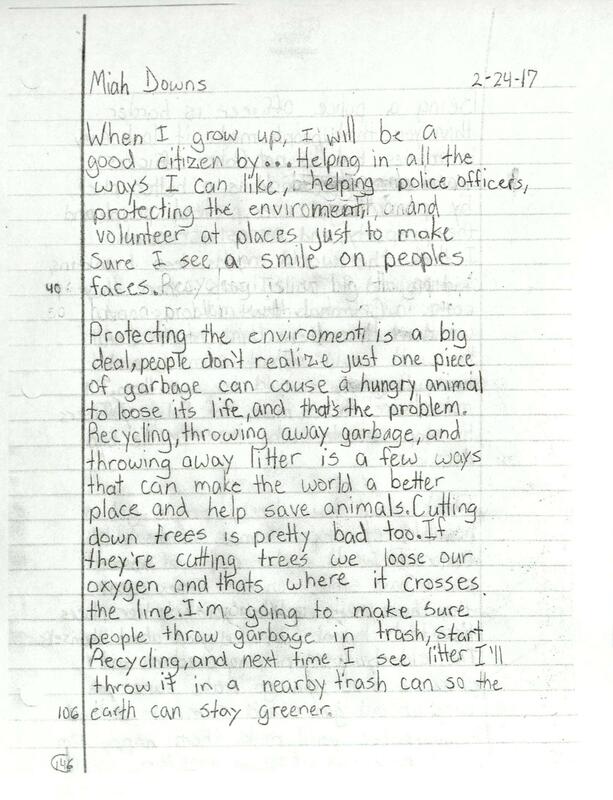 Read Miss Down's award winning essay.